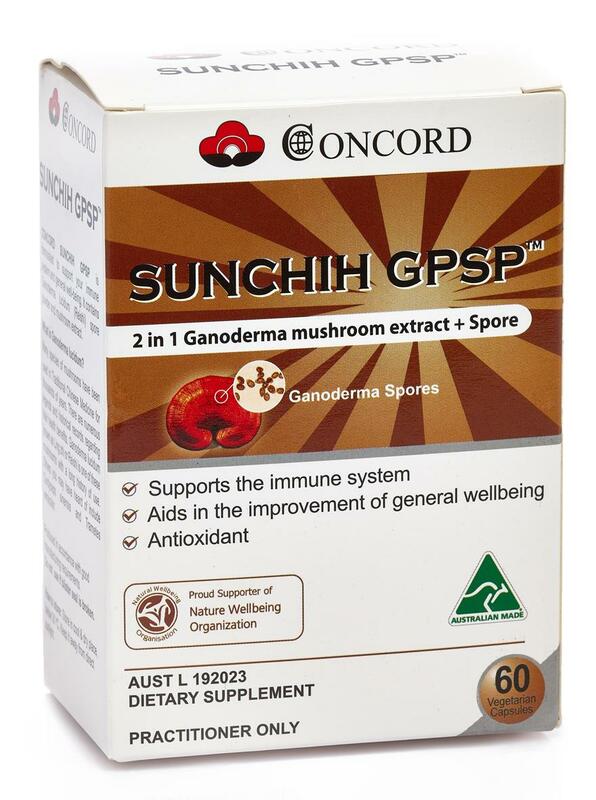 CONCORD SUNCHIH GPSP is the finest nutriceutical and therapeutic 2 in 1 formulated Immune Boosting supplement, which contains Ganoderma Lucidum Spores and Ganoderma Lucidum Mushroom Extract (10 times concentration). Ganoderma Mushroom (also known as Reishi Mushroom) is a kind of medicinal mushroom, also regarded as one of the most superior herb by Traditional Chinese Medicine in enhancing health. Ganoderma Spores are seeds of Ganoderma Mushroom with all the essence of Ganoderma in their most compact forms. Concord adopted innovative technology to crack open the cell walls of spores and extract the spore powder. The new nanotechnology also helps each molecule in the capsule to be more easily absorbed by the human body which achieves best results. In healthy individuals, help supporting and maintaining a healthy immune system, a healthy heart, normal blood pressure, normal cholesterol levels, normal blood sugar levels, healthy respiratory system and peroipheral circulation.